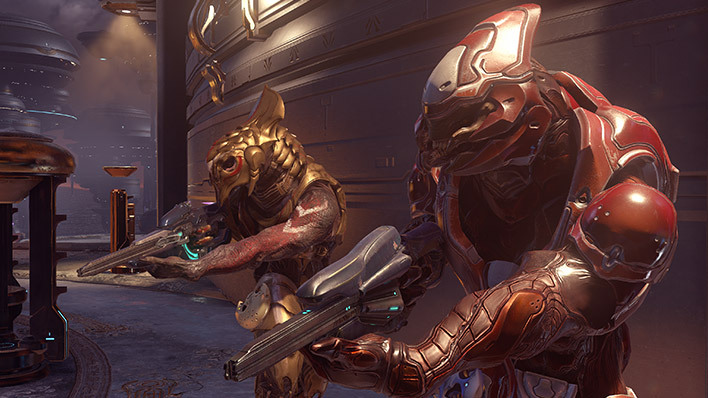 N’tho ‘Sraom was the youngest member of his Special Operations unit near the end of the Covenant War, serving with distinction and outperforming many Sangheili who were decades his senior. When the High Prophet of Truth betrayed his people, N’tho immediately found himself drawn to the cause of Arbiter Thel ‘Vadam. 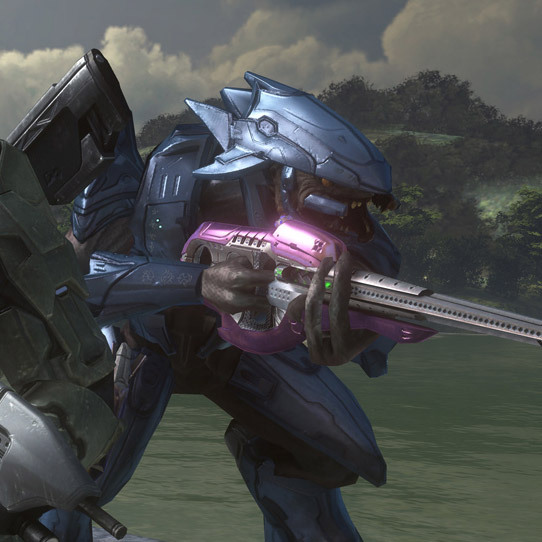 N’tho assisted the Arbiter in the final throes of the Great Schism, including the Battle of Installation 00, where they – along with the Master Chief – gained a monumental victory against both the Covenant and Flood. N’tho enlisted into military service at the end of adolescence, but his zeal and innate talent for both strategy and leadership put him on an accelerated promotion path. When the Great Schism came to pass, N’tho quickly became a trusted sword at the side of the Arbiter, and accompanied him to Earth in an unsuccessful attempt to stop Truth from finishing his excavation of the massive Excession portal. 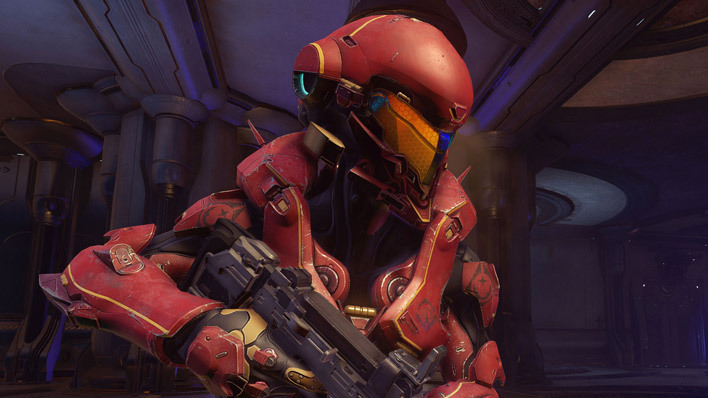 Following the Battle of Installation 00, N’tho pledged his service to the Swords of Sanghelios, working to restore his people to their honorable warrior roots. 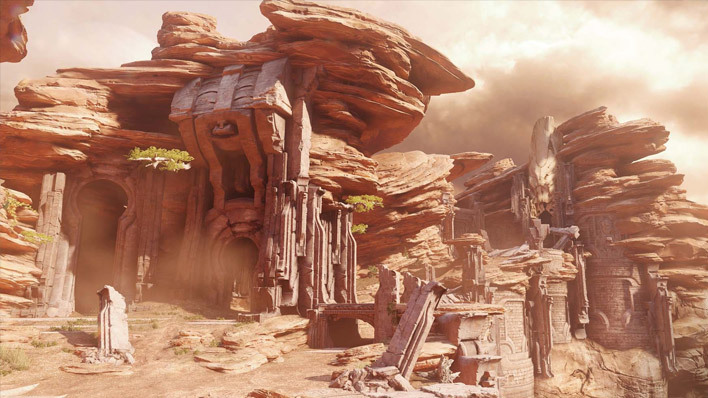 In N’tho’s eyes, Sangheili who carry the tainted banner of the Covenant bring shame to the noble heritage of his people and deserve only a swift death. 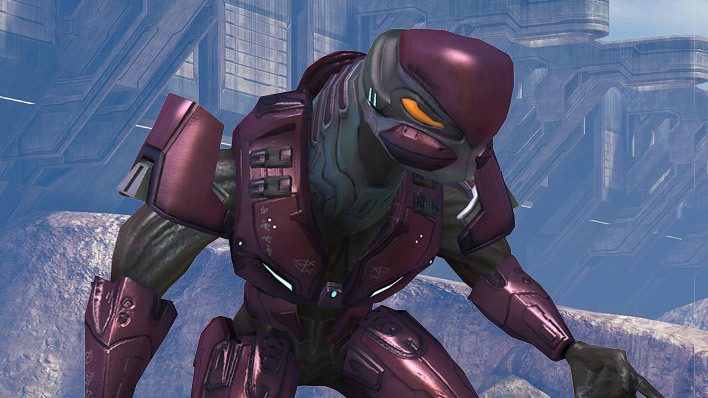 Although N’tho ‘Sraom’s romanticized nationalism is emblematic of all Sangheili, he has developed a healthy respect for humanity - not necessarily for their physical abilities or martial prowess, but for their audacity and resolve, traits that true warriors understand are just as crucial to turning the tide of battle. These philosophies served him well when, at the behest of the Arbiter, N’tho led a hybrid team of humans and Sangheili back to Installation 00 in 2555 to once more quell the threat of the Halo Array. 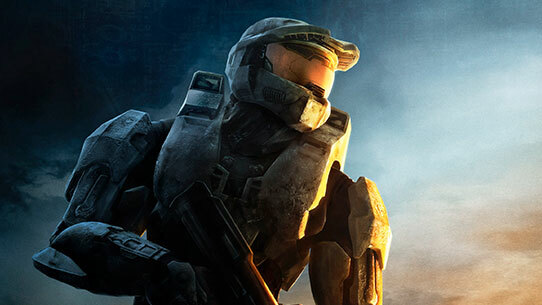 Halo 3 is the epic conclusion to the trilogy that started the Halo saga.